We are already in summer. Undoubtedly, it is a wonderful idea to take your whole family to the beach. If you have a baby, it might be his or her first time to get exposed to the beach. Let alone the excitement, there are several things you should prepare so as to make them enjoy the beach most, especially without danger. With these 8 essential baby items for the beach, you do not have to keep an eye on your baby like a hawk anymore. Worry no more! Sunburn is always something I am worried much about when going to the beach. And obviously, no parents want their baby to get exposed to the sun for a too long period of time. Therefore, it is better if you prepare beach tents for baby. Furthermore, some tents are even super helpful when they are equipped with UV Guard Protection. This technology protects your baby from adverse sun rays effectively. 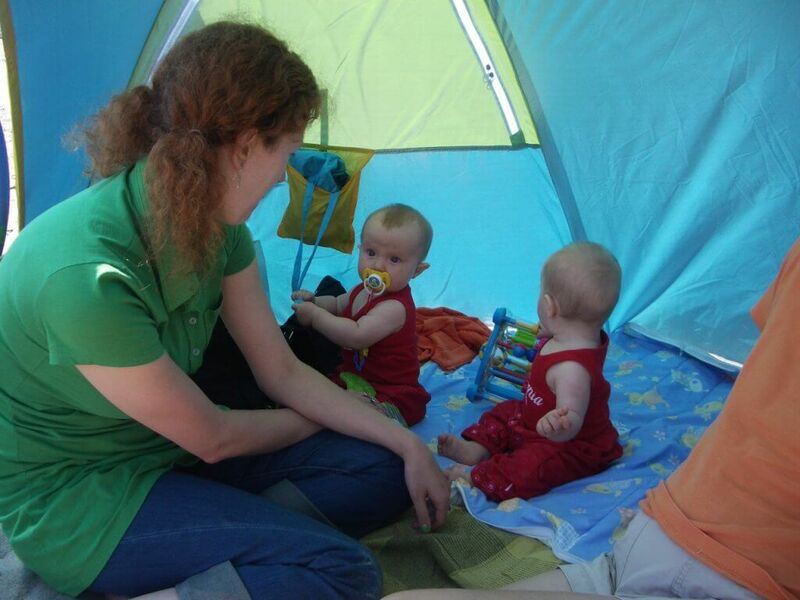 In addition, it is undeniable that baby beach tents will offer you a lot of space to arrange things and sometimes, shade for you. It is an ideal place to stay away from the crowd at the beach. Most tents in the market are super simple to set up, so you do not have to spend a lot of efforts with them. Save energy to have fun with your little monster at the beach. This is an essential item for not only babies but also adults at the beach. Obviously, hats prevent possible negative effects on our skin. You have to remember that some babies’ skin is extremely sensitive. And the danger might not come from the sun only. At the beach, sand may lead to skin itchiness as well and once it sneaks into the skin, you might want to scratch the skin until bleeding. And babies may not be aware of that so they may harm themselves. Besides, you can prepare several SPF shirts for your baby so as to cover his or her upper body as well. As mentioned above, sand at the beach is really irritating, especially when the sensitivity of baby’s skin is worth concerning. To prevent sand from irritating the baby’s skin, you should prepare baby powder. It is particularly helpful to apply a little powder on different body areas of your baby. Arms, legs, feet! And then, the sand will be removed quickly from their skin. Eventually, no skin irritation will be noticed. Essential as it is, sunscreen is actually an item that people often forget to bring to the beach most. It is truly a big problem when you do not have sunscreen before getting a long exposure to the sun. Choose a suitable sunscreen for your baby so that he or she can stay away from feasible skin problems. More importantly, sunscreen plays an important role in the prevention against irritations or even worse, cancer. Remember to be careful with each brand because your baby’s sensitive skin might not work well with products that you think are good. In addition, always check the instructions on the sunscreen to minimize side effects. You have to be as careful as possible whenever it comes to baby. It is unnecessary to pack the whole diaper bag into your luggage to the beach. However, you should be certain that you always have some diapers along with you. They can be either regular or swim diapers, or even both! On the other hand, some extra clothes will save you in many necessary circumstances. Your baby definitely needs to change the clothes after playing with water. Having fun at the beach might make you forget the thirsty feeling. And when you start realizing it, you need a huge amount of water. The same thing applies for your baby, but maybe he or she only knows crying. Therefore, you should always keep a bottle of water along with you and give your baby a regular intake of fluid. This helps to prevent dehydration which can be very dangerous. In addition, several fruits or snacks seem to be a great source of energy to boost the performance at the beach. You can think about keeping them in some bags which are able to keep fruits cool in several hours. The main purpose of spray bottle is to help you clean your baby’s skin from impurities at the beach. First, you will need to pour clean tap water into the bottle before heading to the beach. This item will be extremely useful. Despite your hard efforts, your baby will grab, hold or even worse, eat sand at the beach. To handle these situations, you will need a spray bottle so as to reduce the sand eaten by your baby and clean the skin as well. Despite the fact that your babies might be interested in the beach, they can turn into aggressive anytime. Therefore, prepare some toys to switch their attention quickly. You can choose some bath toys that actually support the experience at the beach. Sometimes, parents’ preparation might become excessive. Instead of providing comfort for their trip, these items become a burden and lessen your fun. Learn what you should not bring with you. A bulky stroller might sound like a good idea, but the truth is that too much space will be taken. You can think of a baby carrier. If you truly need a stroller, it is better to find a small size. Large strollers are not really effective, especially when they are used in the sand. In general, taking your baby to the beach will be an exciting and unforgettable experience, especially for the first time. Learn how to prepare the best for this experience with our recommended items. They definitely give you a lot of support. If the article gives you useful information, please share it and comment your experience to let us know! PrevGionee Planning to Come Up with a Brand-New Handset Gionee S10! NextHow to Become a Perfect Hiring Manager for Your Company?